If you love classical music this is for you! One of the top cellists in the country will be performing a fabulous suite of pieces here in north Pembrokeshire on Sunday, June 7th. Don’t miss the wonderful Natalie Clein at Rhosygilwen. 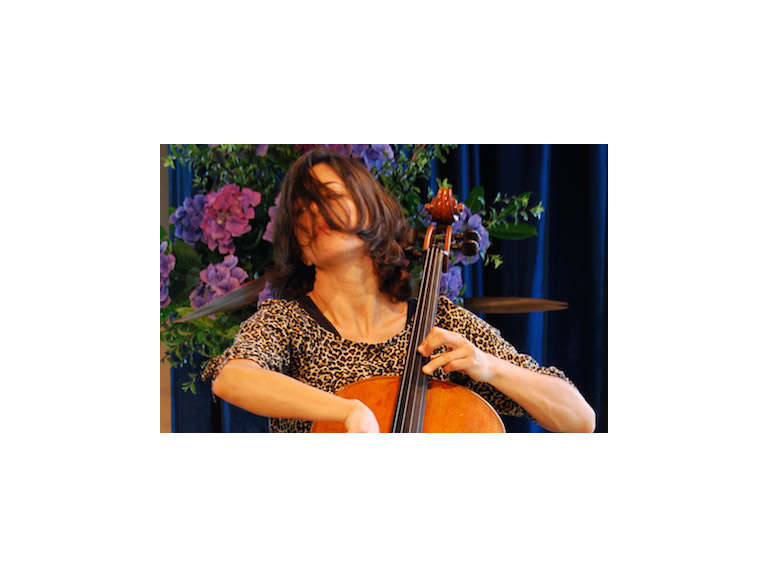 Natalie Clein has been described by The Times as a ‘mesmerising’ cellist who ‘plays everything with passion’. She’ll be performing Bach cello suites (G maj No1, D Min No 2, D maj No 6) on her next visit to the fabulous Neuadd y Dderwen at Rhosygilwen, on June 7th. Born in the UK, Natalie attracted widespread attention at the age of sixteen when she won both the BBC Young Musician of the Year and the Eurovision Competition for Young Musicians. As a student she was awarded the Queen Elizabeth the Queen Mother Scholarship by the Royal College of Music and she completed her studies with Heinrich Schiff in Vienna. She has performed with orchestras all over the world, including the Philharmonia, Hallé, Royal Philharmonic, Vienna Chamber, BBC Scottish Symphony, Bournemouth Symphony, Academy of St Martin-in-the-Fields, City of Birmingham Symphony, Montreal Symphony, Orchestre de Lyon, New Zealand Symphony and Orquesta Filarmónica de Buenos Aires, with conductors including Sir Charles Mackerras, Sir Mark Elder, Gennady Rozhdestvensky, Yuri Simonov, Heinrich Schiff, Sir Neville Marriner, Sir Roger Norrington, Leonard Slatkin and Mark Wigglesworth. She has appeared at venues including the Wigmore Hall, Concertgebouw, Lincoln Centre, at the BBC Proms, Aldeburgh Proms, Manchester International Festival, and in Salzburg, Vienna, Tokyo, Sydney and Seoul. Natalie has collaborated with artists including Martha Argerich, Ian Bostridge, Simon Keenlyside, Imogen Cooper, Lars Vogt, Isabelle Faust, Anthony Marwood and Leif Ove Andsnes, and is the proud artistic director of her own chamber music festival in Purbeck, Dorset. Her commitment to the cello repertoire has included commissions and premieres of works by Thomas Larcher, Sir Peter Maxwell Davis, Sir John Tavener, Dobrinka Tabakova and Fyfe Dangerfield, as well as collaborations with the dancer Carlos Acosta and writer Jeanette Winterson. This is a real treat, in a wonderful venue with the best acoustics.